In Continental Europe many auction houses are holding the first of their main biannual Asian art series but new laws have prompted two German firms to change sale locations. As discussed in previous ATGs, both Nagel of Stuttgart and Lempertz of Cologne have decided to hold their Asian auctions outside Germany. The decision by these auction houses to transfer at least part of their activities outside home turf was, as previously reported, motivated by the country’s recent legislation for the protection of cultural goods. 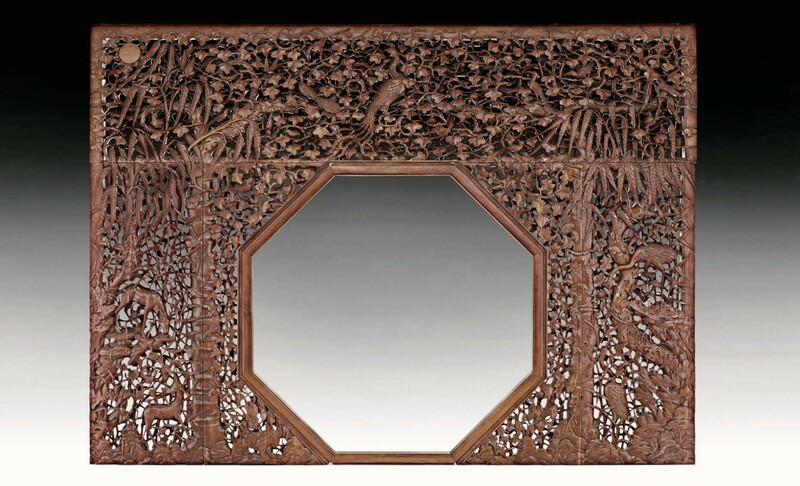 Nagel will be holding its first sale of Asian art in Salzburg on June 16-17 (although some elements of its Asian consignments will still be offered in the firm’s home base). Lempertz holds its Asian sale on June 18 in Brussels, where the firm already has a saleroom. Among the top lots at Nagel is a central or west Tibetan thangka, which dates from the late 11th or first half of the 12th century. The central figure of the 2ft 9in x 2ft 4in (84 x 70cm) painting is Lochen Rinchen Zangpo, known as the Great Translator on account of his pioneering work translating more than 150 Buddhist texts from Sanskrit into Tibetan. For this, and the construction of numerous temples, he is greatly revered and credited with a resurgence of Buddhism in western Tibet. The handwritten inscription on the reverse of the thangka leaves no doubt about the esteem in which he was held: You, the unparalleled great translator, appear to me like a second Buddha. Your wisdom and attainment are inseparable, a true Dharmatala – I respectfully bow to you! 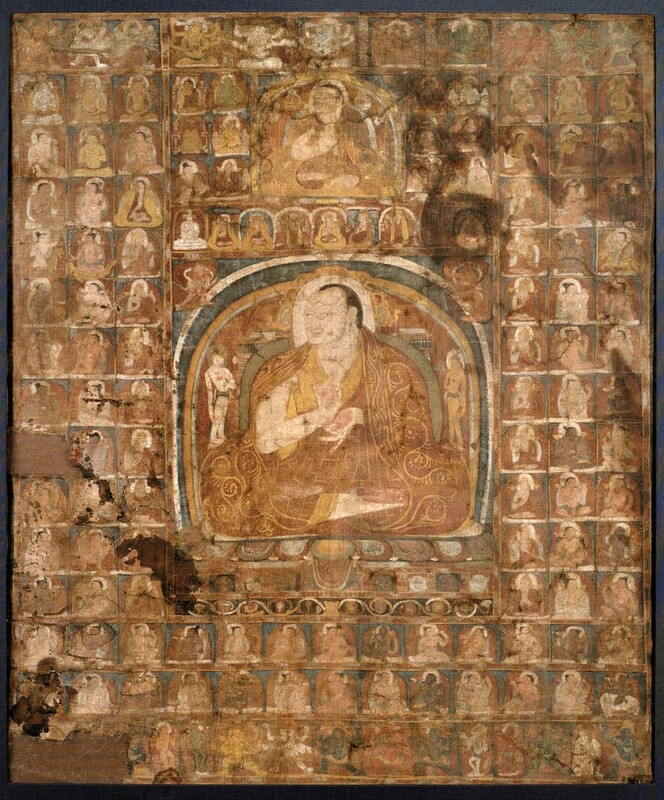 Very few depictions of Lochen Rinchen Zangpo have survived the ravages of time and most of these are wall paintings in monasteries. Expressed in earthly terms, the estimate is €60,000-100,000. Prominent among the highlights of the Lempertz sale is a 2ft 6in (76cm) high Kangxi period rouleau vase. It was purchased in the 1950s by Henry M Knight, a discerning collector of Chinese ceramics from the 1930s until his death in 1971. The famille verte decoration combines classic elements of Chinese mythology with a gnarled, flowering plum tree, exotic birds perching and in flight, lotus blossoms and flowering magnolias. More unusual perhaps is the motif in a small reserve on the neck of the vase: a laughing fisherman is having his back massaged by a young boy. In 1955 Knight presumably tired of the vase, which is now estimated at €70,000-100,000, as he passed it on to a Dutch dealer. Since then it has changed hands on numerous occasions and has also appeared at Lempertz before: in 2003 when it was sold as part of the Bernheimer collection. Meanwhile, the Swiss firm Koller, which has an Asian art sale in Zurich on June 13-14, also happens to be offering material that has come from a German source. It is selling a group of four imperial works of art that were bought to Germany from China over a century ago and have since remained in the same family. The vendor’s ancestor, who was born in 1870 at an estate in Schleswig-Holstein, took part in the suppression of the Boxer Rebellion as a first lieutenant with Count Van Waldersee’s German troops. Assigned to the staff of the commander-in-chief, he met the German-speaking general Yin Chang who was involved in the peace negotiations on the Chinese imperial side. According to family tradition, he acquired these artworks through Yin Chang’s mediation. The four items are a silk painting of the Summer Palace, a pair of bronze censers of mythical animal form, a Qianlong bell or bozhong inscribed by the Emperor and a masterfully carved 19th century hardwood screen or room divider typical of those in Qing dynasty palaces. The 9ft 4in x 13ft (2.87 x 3.96m) screen’s detailed openwork carving is full of significant symbols and iconography. Flanking its central octagonal opening are two parasol trees surmounted by a phoenix (traditionally associated with the empress), while the pairs of deer and cranes carved into the sides are symbols of long life. Only two screens featuring similar octagonal doorways are known in Beijing. One is in the Chuxiugong palace hall in the Forbidden City, while the other was in the entrance hall of the Yiluandian palace until the building burned down in 1901. Koller’s screen, which may have been ordered for a hall of the Empress Dowager Chi, arrived in Germany on the steamer Gera. It stood in the lieutenant’s home for many years, but was displayed in the Hamburg Museum of Ethnology from 1926 until late 1954. Since then it has been in the home of the vendor in Germany. It is estimated at SFr800,000-1.4m.